This is a follow up to the previous post on how to get started writing reviews on your blog. Hopefully by now you will have started building a review section on your blog, so the focus now is on making them engaging and interesting for the reader, and fun for you to write. None of it is free. 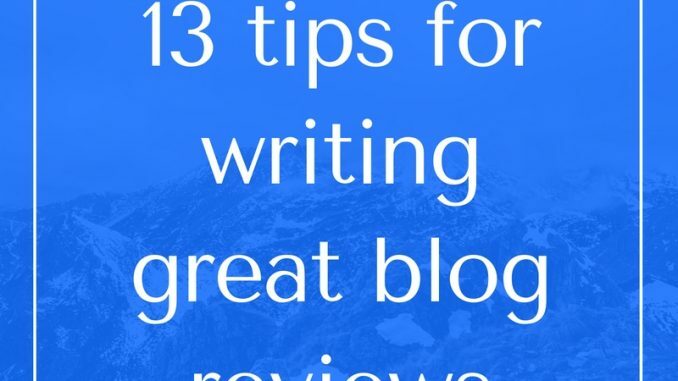 Writing blog reviews takes up time that you could be spending with your family and won’t get back, time that at the end of your life you will wish you had over again. Your time is valuable, your blog is valuable, your opinion is valuable. So think very carefully before you agree to review something and only do so if you are 100% sure it’s right for your blog. Ask yourself – would I be happy to write about this at 9pm? Does it fit naturally into my life? Am I excited to do this? If you don’t want your blog to become overwhelmed with reviews, set a limit to how many you will say yes to. This depends on how often you post – if you blog 4-5 times a week then a couple of well-chosen reviews in that mix won’t overwhelm. I only post on here about once or twice a week so about 3 reviews a month is enough for me. Never forget that your reader may end up spending their hard-earned cash as a result of your review. They have a right to know your honest opinion, even if it’s not what the PR wants to hear. I think bloggers get far too nervous about upsetting brands, but ultimately the brand wants to be seen to be on the side of the consumer too so putting the reader first shouldn’t bother them. A request for a review is not a royal command. Rather than clutter up your blog with too many reviews, sometimes the kinder and wiser move is to pass it on to another blogger for whom it may be more appropriate. Look for the story – either the story from you, or the story from the review item, or perferably both. The fact that a product may be new on the market isn’t a strong enough story, since new products are released in their thousands every day. That in itself simply isn’t news. Blogging is about story telling, so what story will your review tell? What are you good at writing about, with the extra knowledge and enthusiasm that will make your review credible? This is why I delete all those press releases about cheese – WTF have I got to say about cheese? Cheese apps are more my thing (please nobody send me a press release about cheese apps). I’ve even turned down free wine because although I like the grog as much as the next pirate, it’s not something I feel particularly qualified (or sober enough) to write about. The average reader has a legal right to know the score, ie whether you were given the item for free, or have been paid in some way to post about it. I generally do disclosure within the text of the review, and also have a separate disclosure page. And if I have an ongoing relationship with a company then I will usually mention that in a line at the bottom. I think that the recession is a big part of why people look for reviews before they buy something nowadays – they want to know if a purchase will be worth it. Yet many blog reviews don’t even mention the price of the item, as if the writer is embarrassed that they got a freebie. Give your honest opinion as to whether you think the item is worth it or not. This can also be a neat way to include your disclosure, as you can say “I was given this for review, but to buy it costs X which I think is great/poor value and I’d buy/avoid it next time”. PRs will often supply you with official images, but your review will have more personality and originality if you create your own. You’ll also get more traffic from search engines as your images will stand out against all the standard images. Using a PR image along side your own can work well because you can show how something is supposed to look versus how it really does. For something like a DVD or video game it doesn’t really work so well to create your own images as you probably can’t improve on the official pack shot etc. But you can still be creative – try to use the less obvious images from whatever you’ve been given, or put them together into a photocollage. You won’t like everything, it would be weird if you did. The fact that you are honest enough to give a negative review when required means that people will trust your positive reviews more as well. There’s more on writing a bad review here. 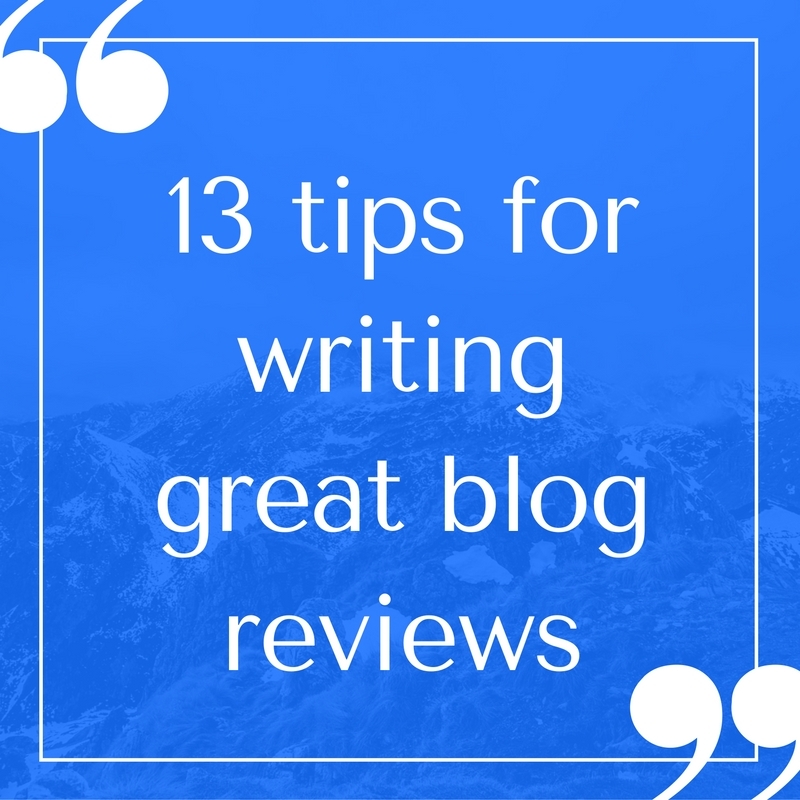 If you find that you’re one of a large number of bloggers in your sector all reviewing the same thing, aim to turn around your review as quickly as you can. If you’re one of the first people to post about something this can attract a lot of interest. If you’re the 20th, not so much.